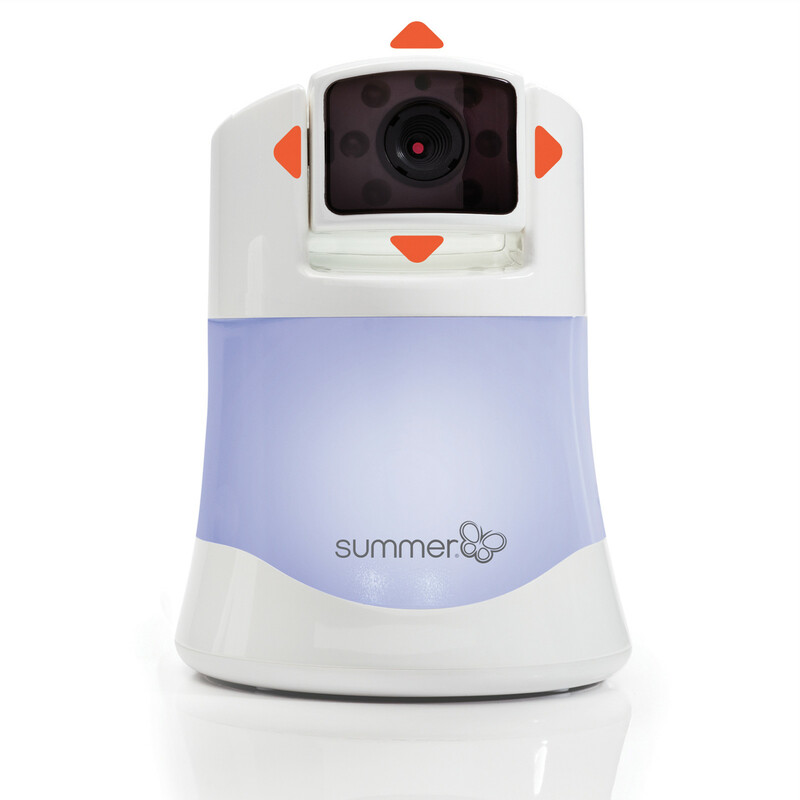 Additional camera for the Summer Infant Full View Panorama digital baby video monitor. 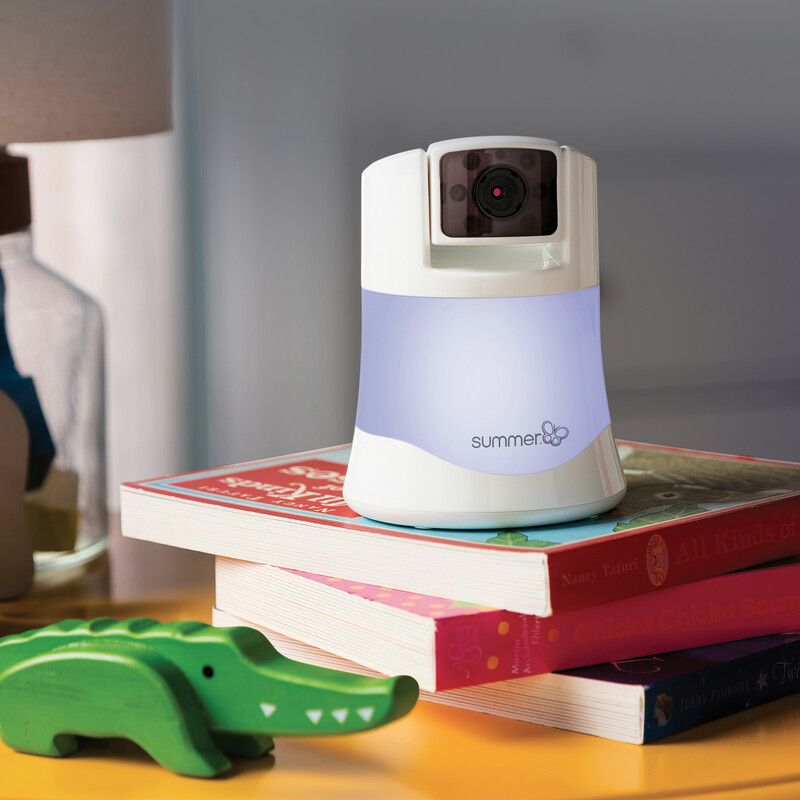 The perfect option for growing families or parents wanting to monitor multiple rooms. 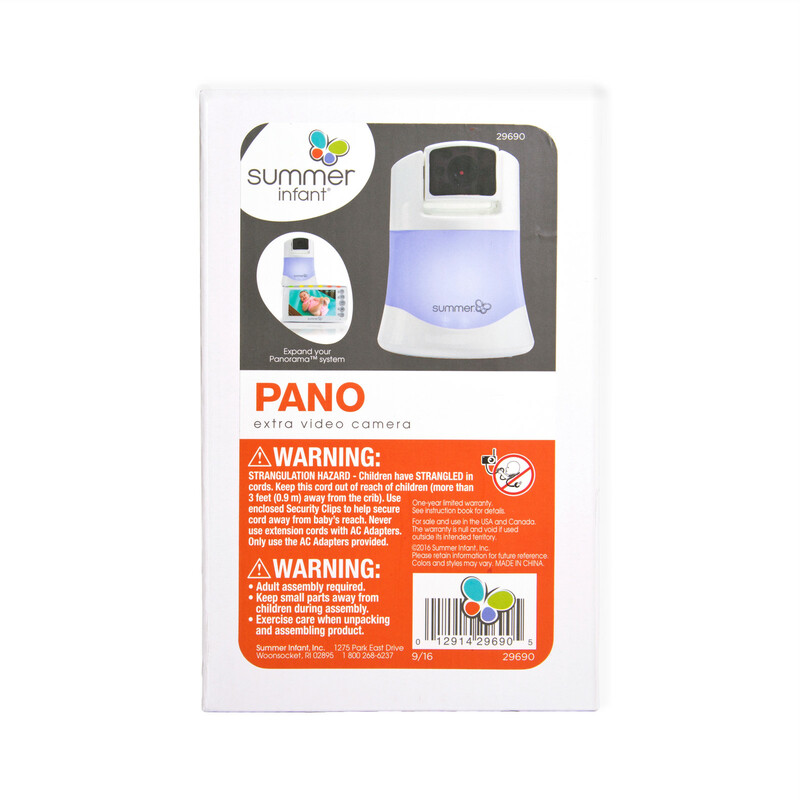 The additional camera features a remote control pan, tilt and zoom function which allows you to follow baby wherever they may be in their nursery. The monitoring system is expandable and takes up to a total of 4 cameras. 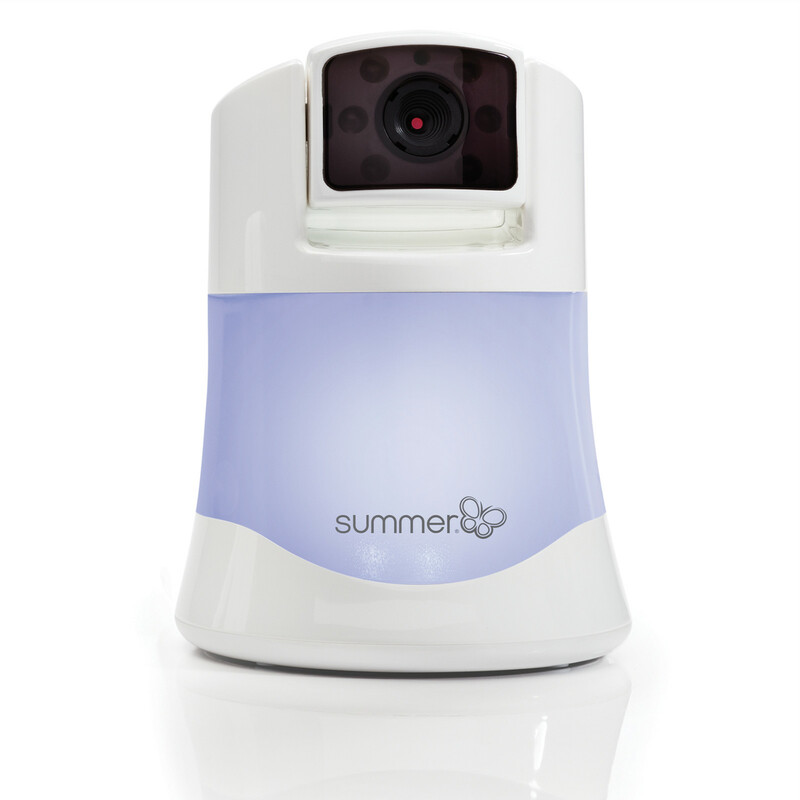 100% digital technology for privacy and security, with a range up to 240m. 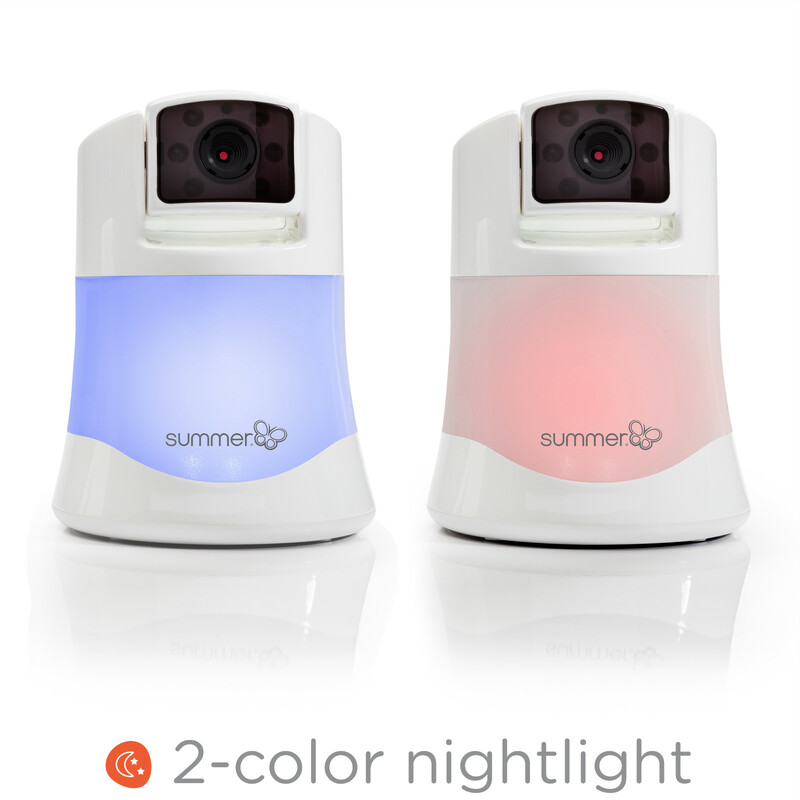 Camera with soft glow night light – red glow helps baby fall asleep, blue light to soothe baby while sleeping. Remote Control Pan, scan, zoom camera. Two-way communication to talk to baby or each other. Rechargeable batteries, built-in kick-stand for tabletop convenience. Power-save mode with one-touch video on/off.